Greetings, Blossoms! I decided to give a Bantu knot set a try again. I have had several fails in the past but am determined not to let this look defeat me. It seemed like I got the best results on blown out hair but I wanted to try it with wet hair. I cleansed and conditioned my hair with Hair Garden Cleanser and conditioner and then applied a good amount of Avocado Shea Moisturizer. I cornrowed the front of my hair in a simple design and used a small amount of EcoStyler olive oil gel for hold and processed to Bantu knot the back. I added the braids in the front partially so that I could do a quick fix in case this set went wrong! I had a bad experience trying to twist my hair from root to end before setting it (See: When the Spiral Set Goes Wrong), so I twisted the hair more tightly at the base and much looser towards my hair ends. 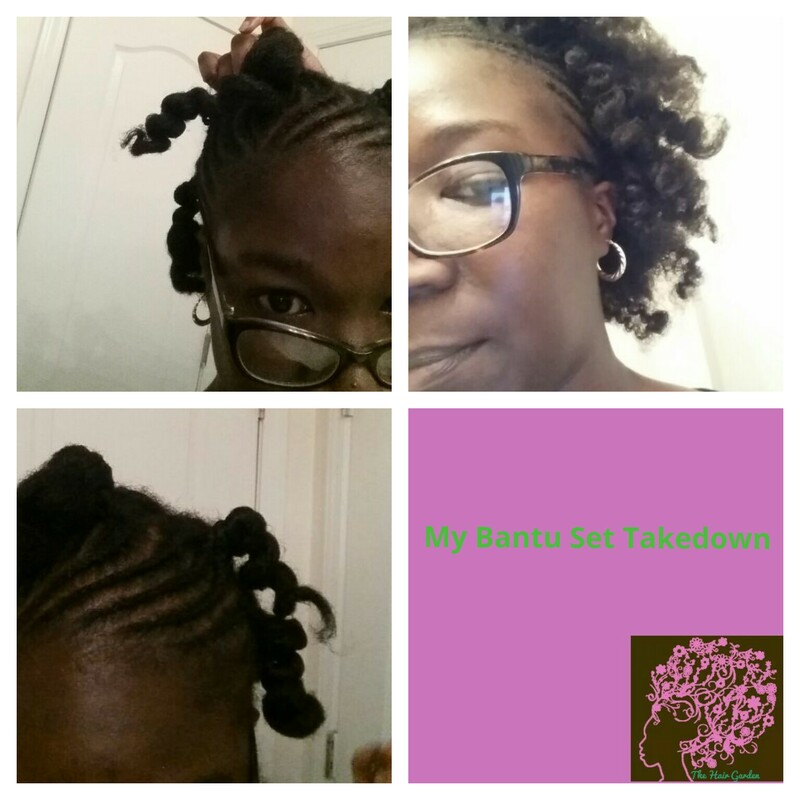 I tried different twisting tension methods with each Bantu knot. I also wanted to experiment with 2-strand twists in Bantu knots (yes, I do the most) so I 2-strand twisted one section in the back before I Bantu knotted it. 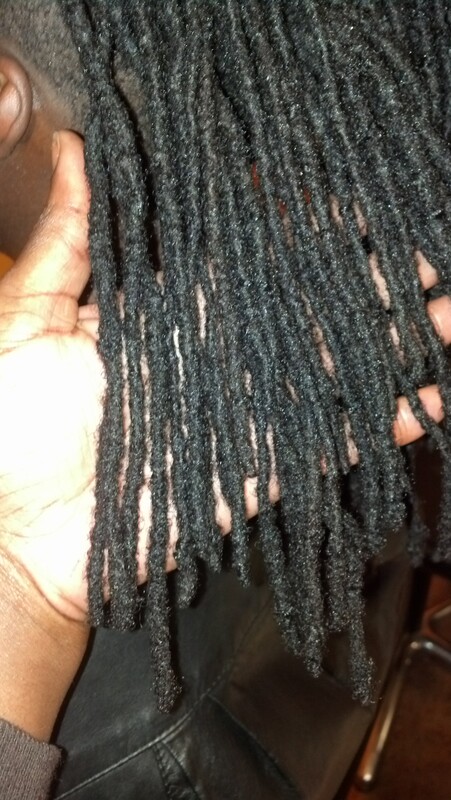 The ends of a few kept unraveling because I had freshly trimmed them. In all, I had 9 Bantu knots. I let it air dry for 24 hours and then sat under a warm hooded dryer for about an hour to make sure it was dry. When I took them down, I was impressed with my results. Some of the ones I used less tension on could have been better due to looseness of the curl. At least now I know the right amount of tension to use when twisting my ends into Bantu knots! 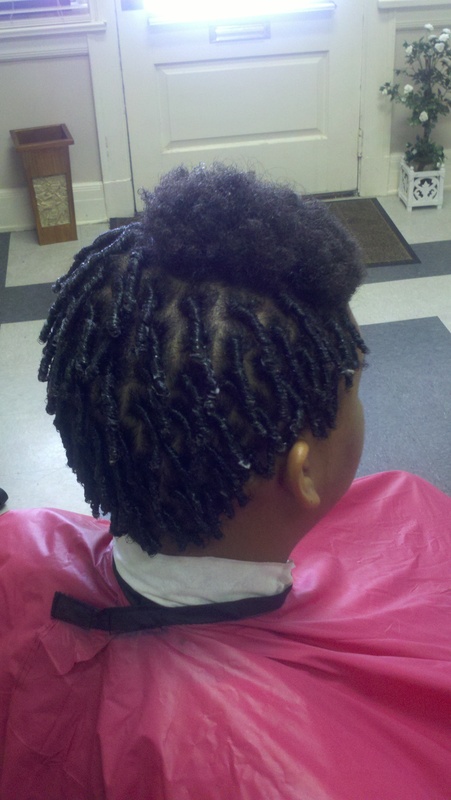 I wanted to show the difference in the sets when I did the 2-strand twist in the back. It was a crinkled and fuller knot. Of course, the curl from the knot was not as defined due to the waviness from the 2-strand. I would definitely try this look again with a little more time under the hooded dryer! These photos did not do the set any justice but I just could not find the right lighting! 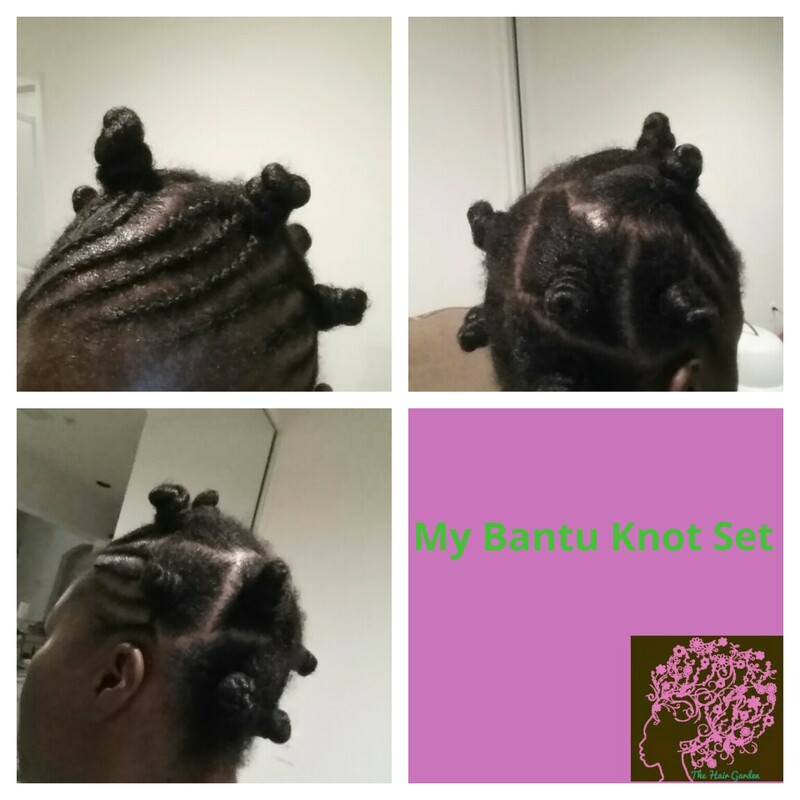 Have you tried Bantu knots? What are some of your Bantu knot experiences, good or bad? 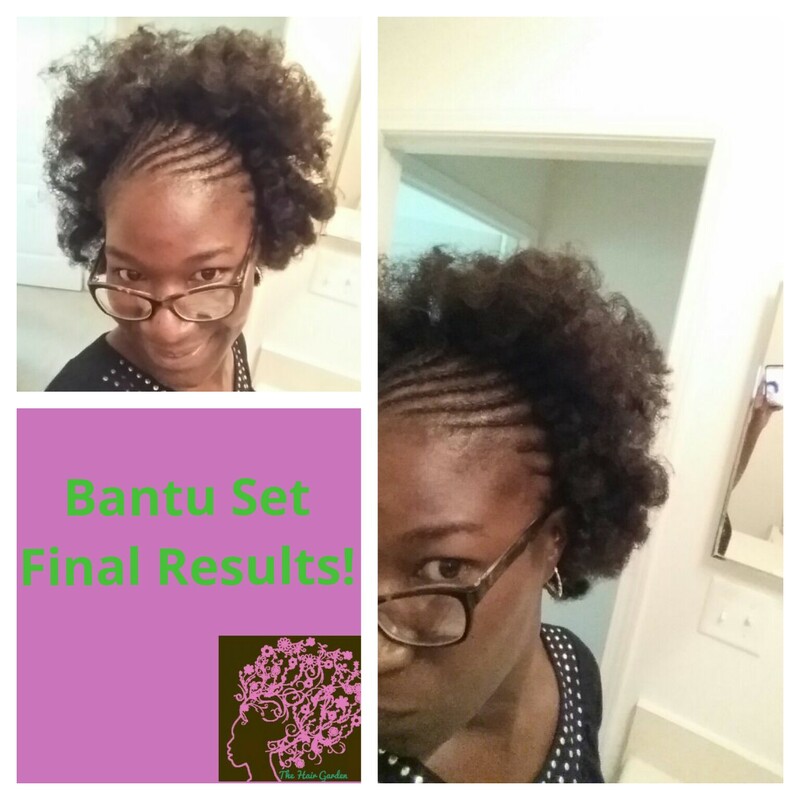 Author AphropuphsPosted on June 3, 2015 Categories Hair Care, Natural HairstylesTags bantu knots, bantu knots on 4a hair, bantu knots on 4b hair, bantu knots on afro hair, bantu knots on natural hair, black hair care, hair garden products, natural hair, natural hair care, natural hair styles, natural hair styling, stretching natural hair, stretching natural hair with bantu knots2 Comments on Bantu Knot Set Success! Give Your Locs A Clean Start!! When it comes to locking hair, I am strong believer in technique and not relying heavily on product. Many people want quick results in eager anticipation of wearing their lovely locked styles and are willing to try almost anything. Stylists want to give those quick results and they end up doing what I call “plastering the hair together” rather than letting it lock naturally as it will eventually do anyway. I compare it “plastering” because of the dependence of the product to lock the hair rather than maintenance techniques. Why you don’t need tons of product. A majority of the clients who sit in my chair for locs will have some sort of curl or wave pattern (I will discuss locking straighter and resistant hair textures in another post). This type of hair naturally forms some type of helix. The job of the stylist is the aid the matting process of the cylindrically formed tendrils. The hair is going to lock! What you don’t want is the remaining buildup of the waxy, sticky products that have been repeatedly in your newly formed and maturing locs. Where the trouble begins. 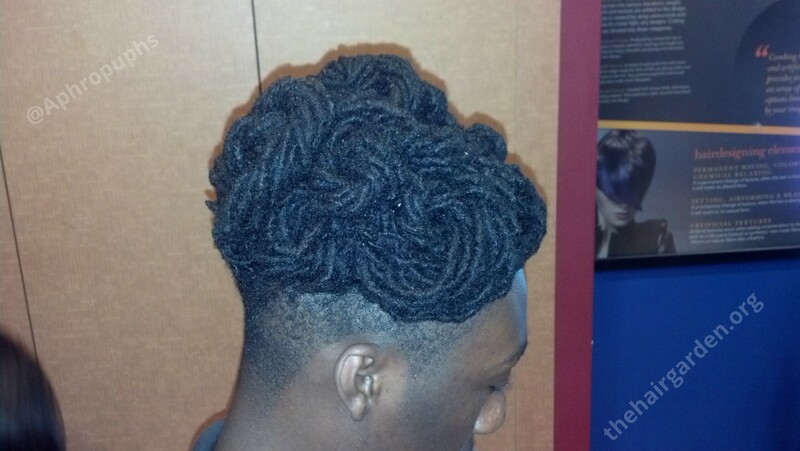 The most common method I see many stylists use to start locs is the coil or comb twist method with a locking product. It is best done on wet or damp hair and product is used to smooth and reinforce the coil. 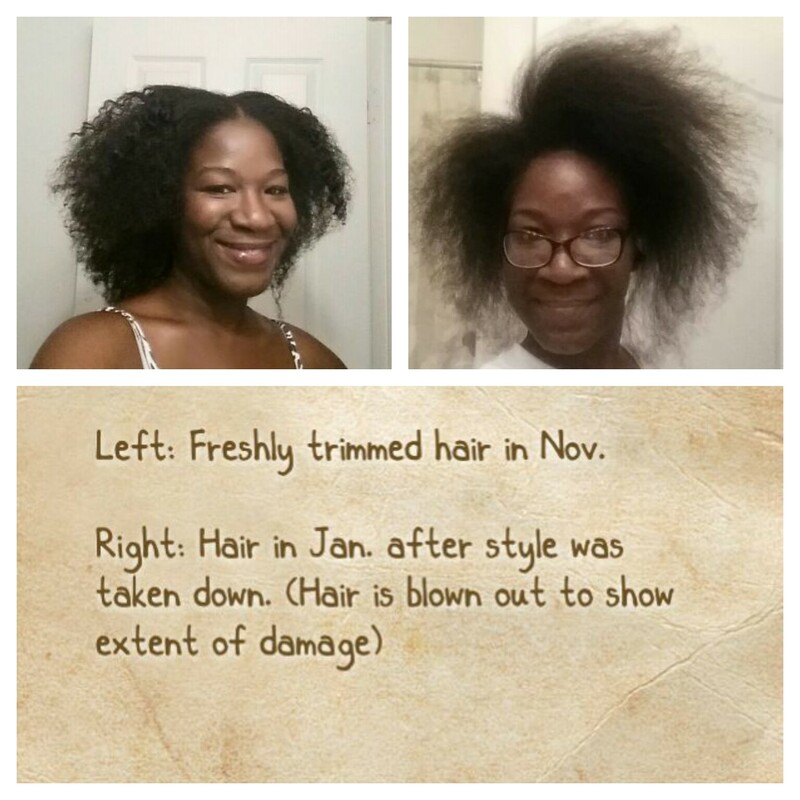 Many are convinced that they have to go the 6 week to almost even 9 months without cleansing their hair for it to lock!!! I’ve seen people attempt to go longer, don’t do this!!! This is where the initial trouble begins. How the problem becomes worse. Along with the product being trapped in your hair with no release, you are also trapping your personal debris (scalp flakes, sweat, natural oils etc), environmental debris and everything else in your hair. The pH of your scalp is now changing to help battle some of this growing amount of debris being left of the scalp. This for some causes increased irritation and can lead to some infections of the scalp that could even become chronic. I have had to clarify so many heads of locked hair that have come my way due to these tactics. 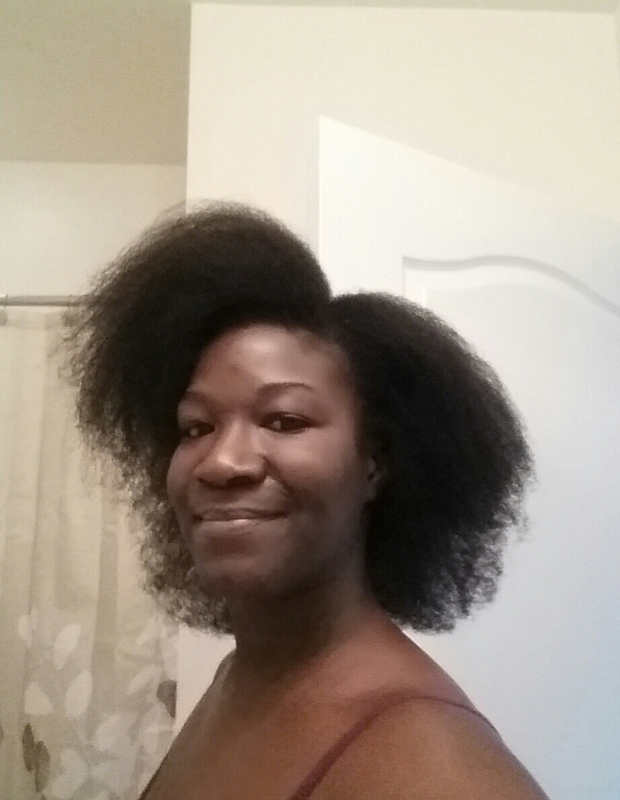 I have started locks of all hair textures and sizes while still cleansing the hair regularly with water and cleanser. Locs going through the clarifying process. You didn’t listen now look what happened. In my opinion, some natural things are fine to use in the hair as long as the hair is being cleansed regularly. Keep in mind that even with regular cleansing, due to the meshing of the hair, you may not be able to remove all traces of product. Also, you want to consider the lifestyle and scalp condition of the person that you are using these products on especially if you are suggesting that they do not cleanse the hair with water and cleanser. I have had clients that have had their locs started with everything from honey, shea butter, beeswax/wax (I despise it) along with a combination of locking products that eventually cause what I like to call “loc sludge”. Loc sludge can affect the health, color, smell, weight, manageability, etc of your locs. This sludge can be found my wringing the locs once they have become saturated with warm water and a little bit of clarifier. It’s not a pretty sight. An alternative to water? The dry shampooing is a good option also, but in my opinion, only to an extent. Yes, the scalp is clean but what about the debris collected in the loc itself? It will only find its way right back to the scalp and it will continue to collect more buildup with continued application of product during maintenance and grooming. What should be used then, know it all? When it comes to loc maintenance, I like to go for more natural options such as aloe, oils, light butters, and even some light, alcohol-free gels. I prefer products that rinse clean from the hair and are safe to be absorbed by the body. I keep the products used in the hair as simple as possible because the client should be carrying positive energy in their locs, not sludge!! Below is a picture of one of the gels that I recommend and is a favorite of mine for locs. Questions and comments are welcomed! Thank you for stopping by The Hair Garden! 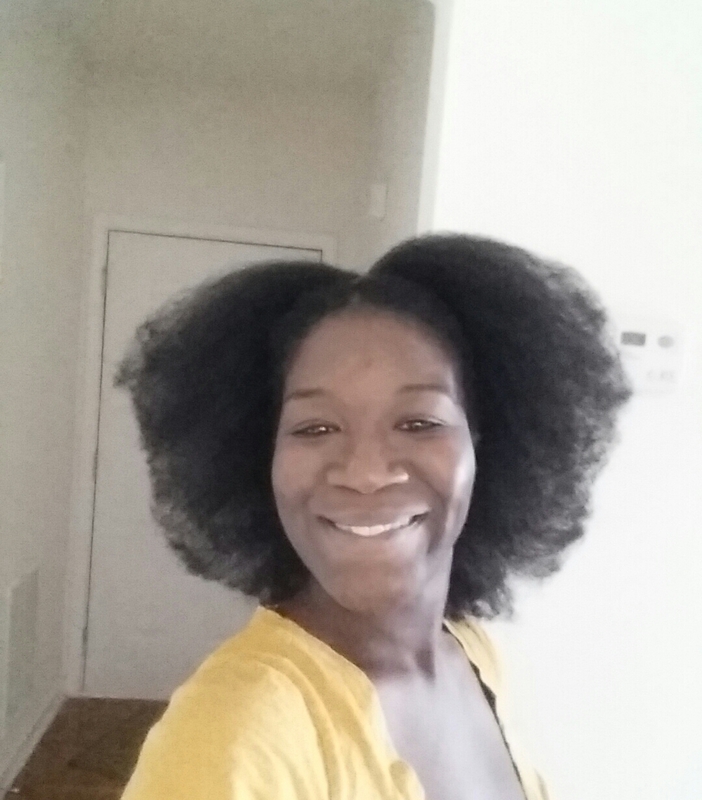 Author AphropuphsPosted on March 1, 2015 June 3, 2015 Categories Hair Care, Loc Care, Natural Hairstyles, Natural ProductsTags afro hair, afro hair care, black hair care, clarify locs, dreadlocks, loc breakage, loc buildup, loc care, loc discoloration, loc maintenance, loc products, loc styles, loc troubleshooting, lock care, lock maintenance, lock products, lock styles, locks, locs, loctician, natural hair, natural hair care, prevent loc buildup, stop loc buildup3 Comments on Give Your Locs A Clean Start!! Greetings my lovelies! Earlier this year my hair went through some trauma due to being handled without care as I described in my first entry of When Someone Tramples Your Hair Garden. It was time to take down those traumatized ends and I was looking forward to it!! Here is a quick reminder below of where I was before the salon visit and what I ended up with once I took down the style. I grabbed my shears and took matters into my own hands. I took off about 3 inches of damage. I still have about another inch or two to remove in some specific areas before I am completely satisfied with the overall health of my ends. I could have taken it all of the damage off at one time, but for it to be even, it would require me to cut a lot of undamaged hair as well. I have different textures of hair on my head so some parts took more of a beating than others. There was also some damage done near the roots with the thread used to bind my hair but not as severe. I am treating that with protein. The photo above is following the initial trim from the blown out hair at the very top of the article. You can see the new fullness of the ends. It looks a little blocky right now but that is because of 1) how I have it parted and 2) my shrinkage from different textures. 80% of the time I let my hair air dry in some sort of stretched style such as a braidout, twistout, or banding so it will be even for my daily wear. You can also see the difference in texture much better in post-cut photo. The back has a looser curl pattern and fluffier texture than the top. 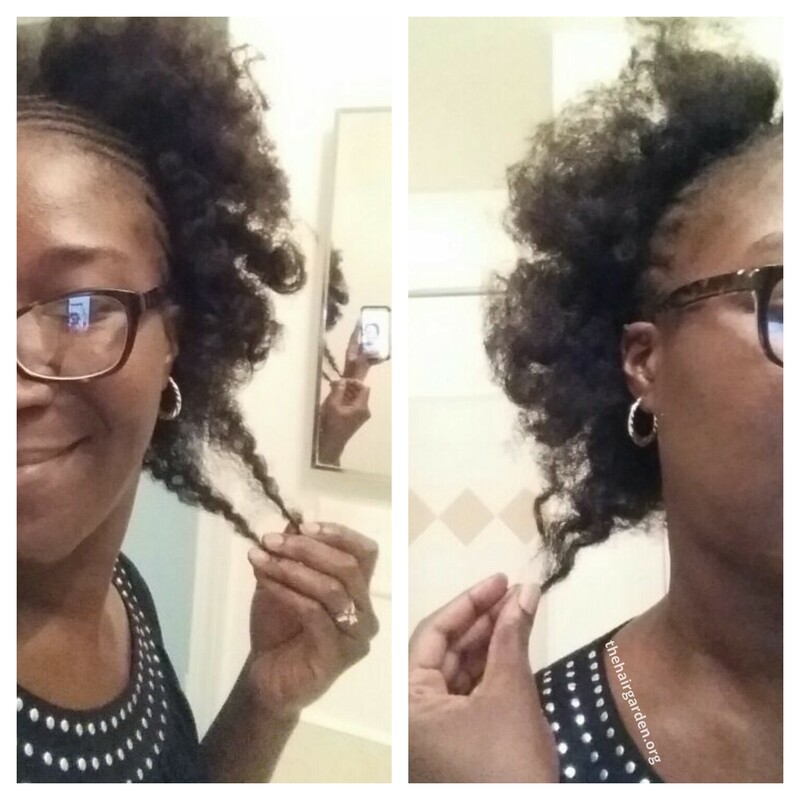 The top and sides of my hair has a smaller and tighter curl pattern and is more dense. I had to keep this in mind when cutting. For my professionals, I began the cut in a 180º because of the damage at the top and then went back and evened everything out with a 90º to make sure I got the rest of the damage on the sides AND to keep the rounded shape that I prefer to wear my afro hair in. After the cut, I conditioned my hair with my avocado protein conditioner for about an hour and blew it out after a lot of t-shirt blotting due to time restrictions and the cold weather! I used my Hair Garden Softener, Karen’s Body Beautiful Leave-in, and Shea Radiance Thermal Protection before I blew it out. I am very happy with the results of my trim and my new bounciness my hair has gotten! I am looking forward to the next trim when I remove my protective style! I currently have my hair in box braids which I will share with in an upcoming post! Thank s for visiting The Hair Garden!